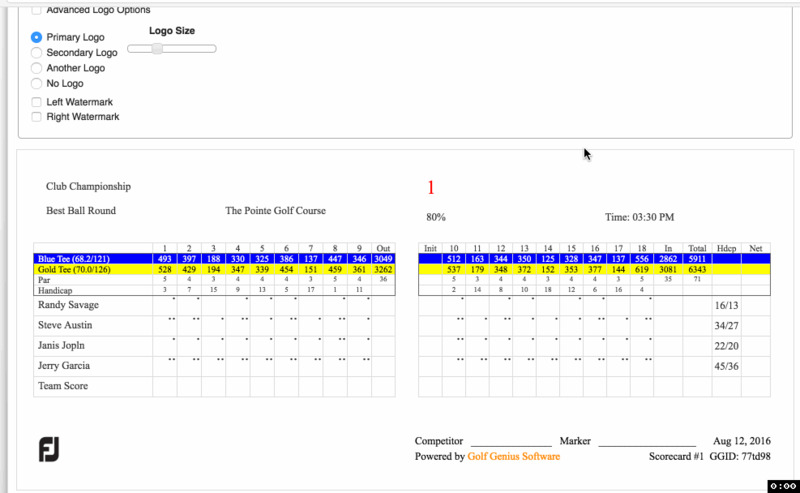 Cool Features found in Golf Genius! Display Leaderboards on a TV. See what people are saying about Golf Genius! The USGA’s GHIN service has been an important technology tool for SRGAs (State and Regional Golf Associations), clubs, and golfers since it was developed in 1981. One of the core products included with GHIN is the Tournament Pairing Program (commonly called TPP®). In 2016, the USGA began to reimagine GHIN and explore opportunities to enhance its impact for the future. During this process, the USGA decided to collaborate with a software firm dedicated to the tournament management software market for the tournament management component. The USGA selected Golf Genius Software because of the proven quality of the product, its acceptance among numerous clubs, the scalability of the Golf Genius cloud solution, and the Golf Genius commitment to providing outstanding service to the USGA and its GHIN customers.The result of the collaboration between the USGA and Golf Genius Software is USGA Tournament Management, which is a USGA-branded version of the established and successful Golf Genius tournament management system that replaces TPP® and provides additional benefits. 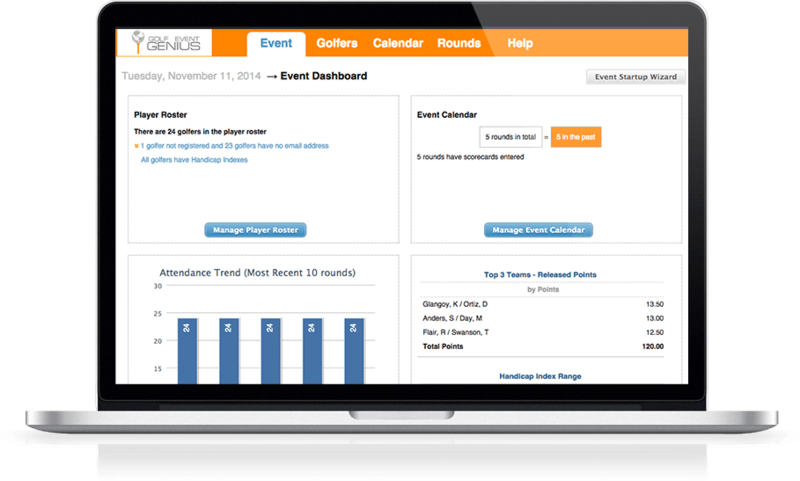 addition to comprehensive tournament management functionality that saves the golf staff valuable time and eliminates complicatedmanual processes, TM Club also provides best-in-class fully customizable printed materials, unique features for organizing and managing golf leagues, and a comprehensive online knowledge base. As they do today with TPP®, golf associations will provide direct support to their member clubs, and will have the option of escalating support cases as needed to the Golf Genius Support Team. Golf associations are rolling out TM Club to their member clubs throughout 2017. To have your account activated, please contact your golf association. To provide ample time to complete the rollout across all member clubs, TPP® will continue to be operational and supported via the standard GHIN support process through Dec 31, 2017.What is the cost?The price of TM Club is included in your club’s membership with your golf association. Whereas TM Club is focused on improved productivity and providing superb printed materials, USGA Tournament Management Club Premium (TM Club Premium) delivers all the benefits of TM Club plus mobile app and live scoring, online event registration and payments, customizable websites (for each event, league or outing), unlimited sponsor content (delivered via the mobile app, event website, printed materials, and TV leaderboards), trip management, and integration with other club systems (club websites, cart/GPS systems, etc). TM Club Premium is an optional upgrade for any member club currently on TM Club. To learn more about TM Club Premium, or to upgrade your TM Club account, please contact your golf association or click here to submit an inquiry to the Golf Genius Sales Team.What is the cost?In 2017, member clubs with 36 holes or less will pay $2,500 for a one-year subscription to TM Club Premium ($600 discount relative to the full retail cost of the Golf Genius product) plus a one-time $300 Premium Onboarding Fee. Clubs will renew their subscription annually at the prevailing annual subscription cost less the $600 discount.